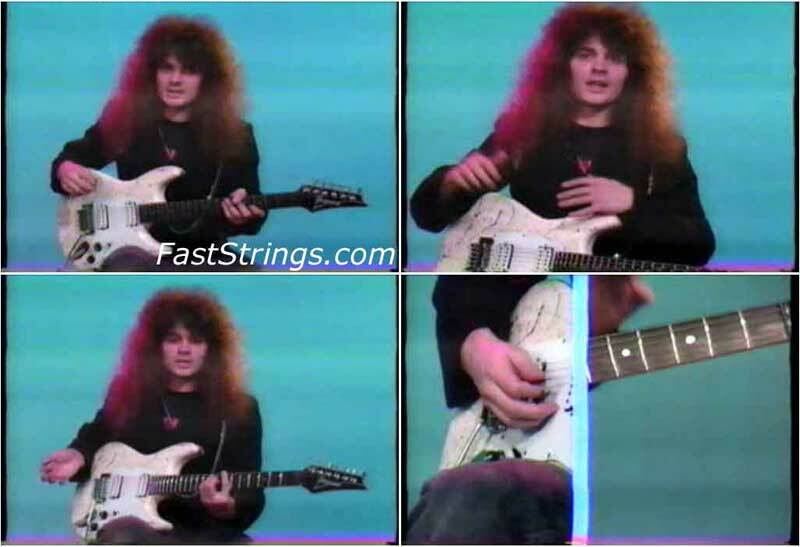 Vinnie Moore Speed, Accuracy And Articulation download. Picking up where his first landmark Hot Licks video left off, this advanced tour de force shows Vinnie playing and teaching at his best! You’ll learn advanced triplet picking on all strings in both ascending and descending forms, three-string licks, classical triplet licks, and special runs played both forward and backward. There is also an incredibly clear and concise section on the various modes and how they can be used in improvisation, with exciting demonstrations by Vinnie! Vinnie’s left hand mastery is also covered and he teaches you exercises for two fingers at a time, chromatic runs and incredible left-hand hammer and pull-off exercises and licks. Put together with his first Hot Licks best seller, “Advanced Lead Guitar Techniques” this incredible video package will help you to become the best you can be! You’ll never miss a note! Each Hot Licks Video lesson actually shows you the music and tablature on the screen, as it’s being played! Both right and left techniques are shown close-up, so you can learn all of the subtleties the top players are known for!